Over Here/Over There, a collaborative exhibit between Vassar College and The Dutchess County Historical Association, will explore how World War I impacted lives in the county and throughout Vassar College. 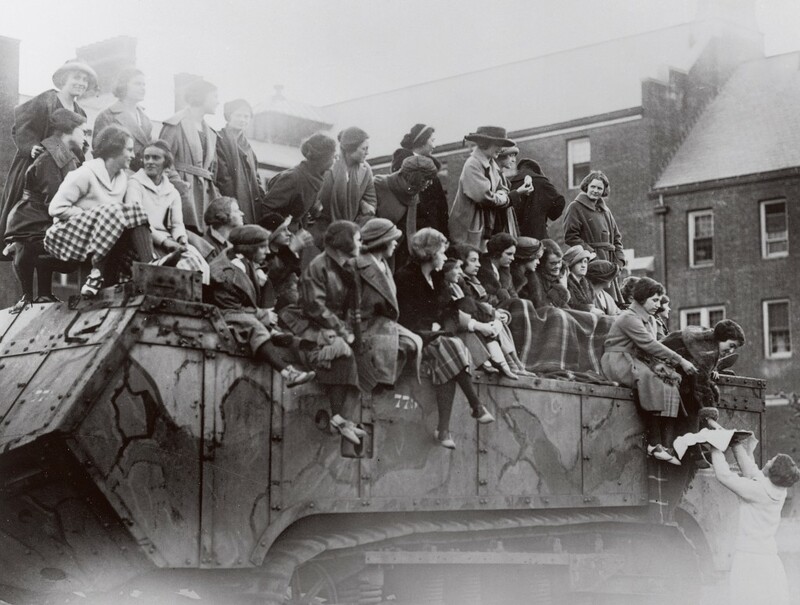 The exhibit offers a collaborative study of Dutchess County during World War I, documenting the unparalleled change it brought to both the county and the college through the experiences of individual students, college faculty and county residents. The partnership comes in recognition of the 100th anniversary of the armistice of 1918, and as part of the Dutchess County Historical Associations 2018: Year of the Veteran programming. The exhibit will run from October 13th to October 31st in the Faculty Commons at Vassar College. This event is free and open to the public. Please Note: Exhibit hours for the week of October 13th are 8:30am - 4:30pm because of school break. Beginning October 22nd Exhibit Hours are 8:30am - 11:00pm daily.